"The herb's seeds are quite tiny, so if you want to start seeds, do it indoors. Sprinkle seeds over a planting medium and leave them alone. Do not cover with soil or press down. Mist with water and cover with plastic. Make sure the temperature under the pot is kept at 70. If the seeds do not germinate in 4 to 5 days, try again." It sounds much easier to buy a young plant and start from there! They should be planted in the spring, after the last frost. 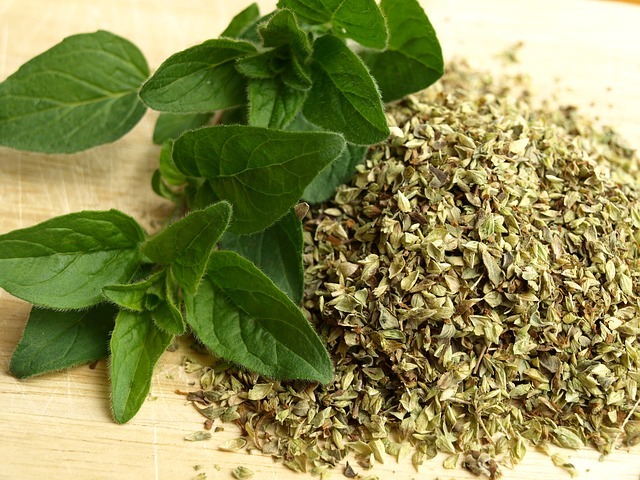 Oregano favors a drier soil and mild weather. Ms. Harding also says that if you cut back your harvest in midsummer, you will get another harvest before winter arrives. Oregano can also be grown indoors with good results. To harvest, simply snip a few cuttings, and either hang to dry or use a drying screen. Oregano dries very fast! 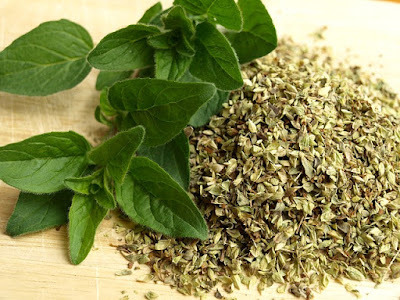 Now that you've got your Oregano, you can cook with it, use it as a remedy, and enjoy its aroma. I use oregano in my kitchen potpourri. My husband thought of this idea one year at Thanksgiving when he decided that the smell of the holiday was probably the best part. This is only one of the varieties that I use in my kitchen, and you can really make this potpourri using the herbs and seasonings from ANY of your favorite meals. I mix together oregano, basil, and thyme and seal them in a ziploc baggie, making sure to remove all the air before I seal it up. When I'm ready for that combination, I place a couple of pinches in my potpourri burner (a small crockpot replica) and add a little bit of water. This mixture can also be used by taking a small square of mesh, placing a couple tablespoons of the herbs in the center of the square, and then pulling the corners together. Tie this with a ribbon and hang in your kitchen. I've got several different mixtures hanging in little packets all over the place. My kitchen always smells like a good meal. Different guests notice different aromas and always mention a childhood memory associated with the scents. It's pretty good energy! Oregano also does very nicely in flower arrangements or wreaths. Oregano is used in healing for muscle pain, coughs, asthma, swelling, arthritis, tension headaches, toothaches, seasickness, and nausea. A poultice is made by gently bruising the Oregano leaves, adding a drop or two of water, and mashing the leaves into a paste. Wrap the herbs in a cheesecloth and place on the effected area. This poultice can be used to relieve sore, achy muscles and swelling. An infusion is made by steeping the leaves or flowers in hot water, just like a tea is made. A regular-strength tea can help coughs and ease asthma attacks. A stronger infusion is very relaxing and can ease the symptoms and discomfort associated with nervous or tension headaches. An infusion of the Oregano flowers, on the other hand, relieves nausea and helps seasickness. Oils are one of the easiest home remedies to make and use. Simply combine olive oil and oregano leaves, two parts oil to one part fresh herb, and steep for 24 hours. Then strain and use the oil when needed. Oregano oil is a wonderful aid for arthritis pain and should simply be massaged into the stiff and achy joints. Oregano oil also helps relieve toothaches. Wash and cut your vegetables and arrange on a skewer. Combine 1/4 cup of olive oil, garlic powder to taste, 1/2 teaspoon of lemon juice, and a pinch of oregano, also to taste. Brush the mixture on your kabobs and grill. This is heavenly served at any cookout.